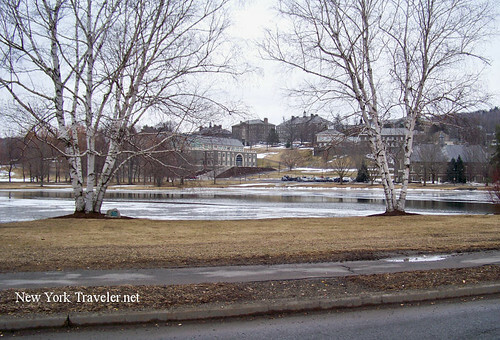 Colgate University, in Hamilton, Madison County, NY, is another one of the finest and oldest universities in the United States. While in Hamilton, I took a drive around the campus and snapped some photos of the very unique buildings there. 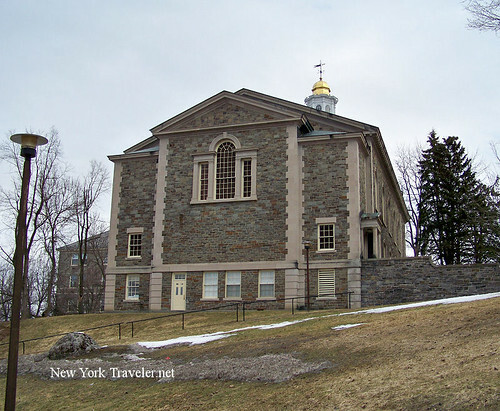 In 1817, 13 men – six clergy and seven laymen – met in the frontier settlement of Hamilton with “13 dollars, 13 prayers, and 13 articles.” (To this day, members of the Colgate community consider the number 13 a good omen.) 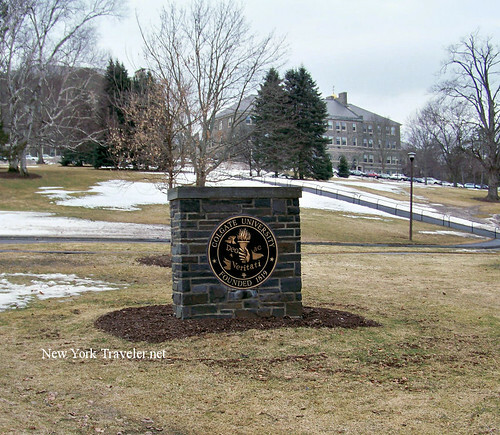 In that meeting, the men founded the Baptist Education Society of the State of New York, the cornerstone in the foundation of what would become Colgate University. The state chartered the Baptist Education Society in 1819, choosing Hamilton as the location for its school; one year later, the school opened. 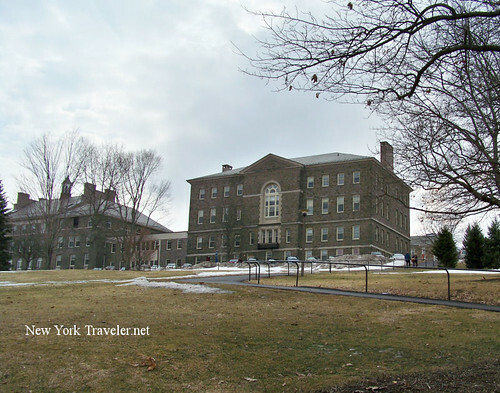 In 1823, Baptists in New York City – soapmaker William Colgate among them – consolidated their seminary with the Hamilton school to form the Hamilton Literary and Theological Institution. 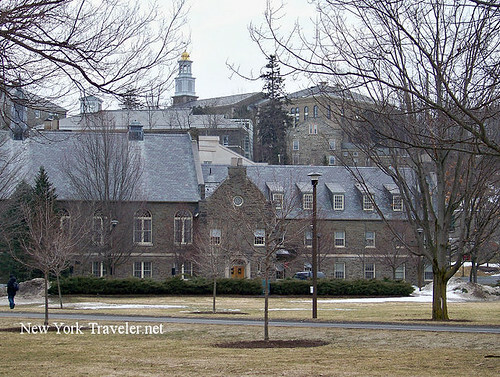 The Colgate family connection was thus established. 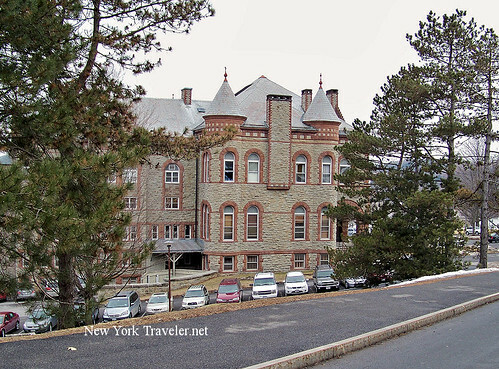 The oldest building, West Hall, was built from stones in the local quarry by the faculty and students. What a wonderful project! Unfortunately, I did not know this at the time I snapped the photos. 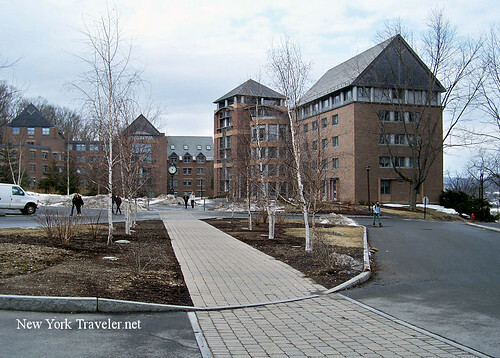 Actually, the campus roads were so winding with so many twists and turns that I had a difficult time navigating. The only building I recognized was the elegant chapel. 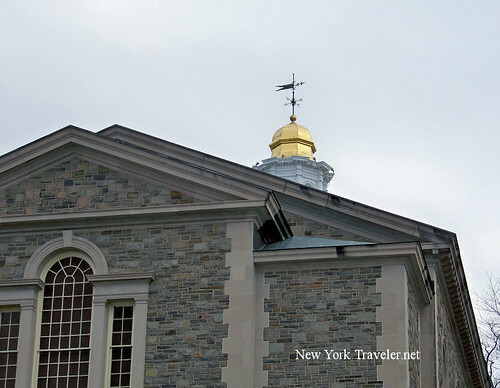 You can spot the gold dome from the village of Hamilton, below. It’s beautiful. The stonework is lovely, I think. 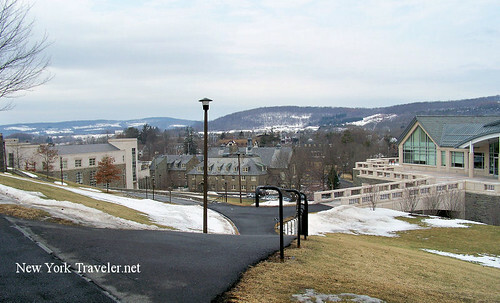 Colgate University sits atop a hill overlooking the village of Hamilton. The views are breathtaking, and so are the buildings! 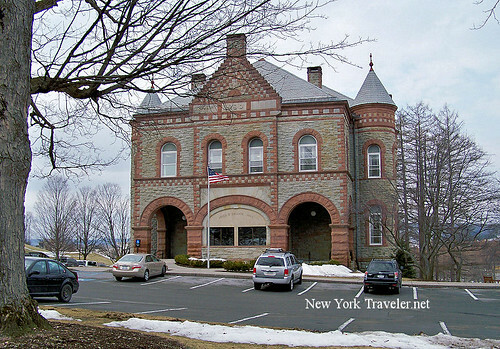 This building reminded me of a small castle or Bulgarian chateau. 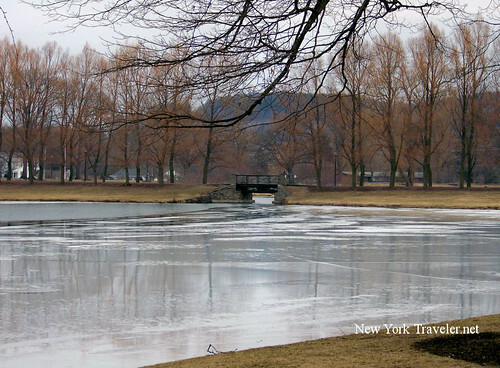 There are lovely walkways and a nice pond. In the summer, a small flock of swans float delicately across the smooth surface. It’s really a lovely area. Well, this post is loaded with photos! 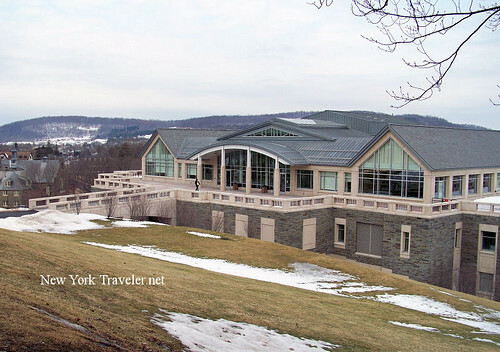 I have more examples of the beautiful stonework and architacture of Colgate University. I’ll include these in another post, to come.